Since it was Chinese new year and the high school girls had holiday and some girls wanted to go home to celebrate the Chinese new year with their family and so we kept the feast of Don Bosco on 30th Jan so that that evening some girls can go home. We started our program with welcoming all of us and especially our past pupils who had come for meeting, followed with action songs on the life of Don Bosco where all the girls did action song. Our girls have prepared some program to show the love to Don Bosco. 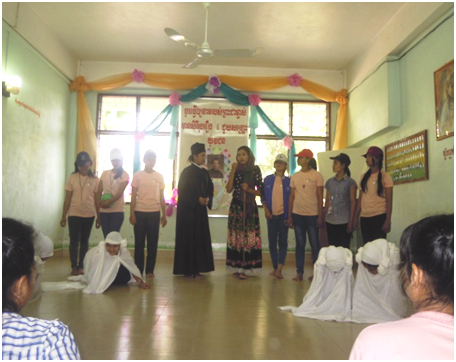 The high school acted the story of how Don Bosco started his mission and our sewing girls acted his dream of sending missionaries and opening new place in other country. Through some dances, speech on his life and songs kept everybody happy. Our past pupils also sung 2 songs to be part of the Salesian family. Formation for Past pupils: After lunch all the past pupils gathered together in the hall to have formation. There were 28 past pupils who had come for the meeting. Sr. Blanchi welcomed them and started program with slide show on the life of Don Bosco and his mission. We also showed them one power point on VESSEL. There are many different types of vessel but Master chose the vessel of clay so that he can wash it, color it, paint it and make it presentable. After that they had group work where many of them shared their reflection. Then Sr. Blanchi explained them more about this saying that how each one of is important, out of our nothingness God makes us beautiful and valuable. It is games time: We all gathered on the play ground to play various games which Sr. Blanchi and teachers have prepared. We also have prepared some games for past pupils. We could see that each group was united and has taken active part in games. 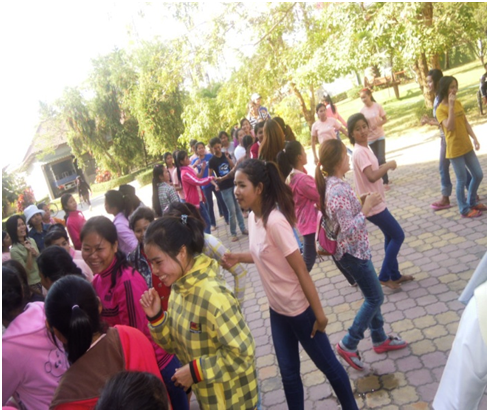 The atmosphere was happy and joyful as all took part in playing various games and making themselves happy and trying to win the prizes. 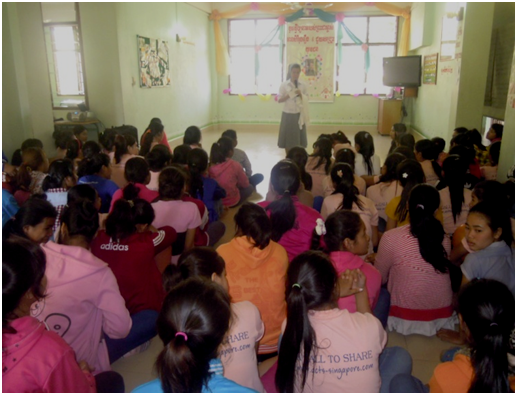 After that we gathered together once again in the hall to say words of thanks and Sr. Gema distributed the prizes for the winners. It was nice and beautiful day spent in the accompany of each other praising and Thanking God for his love and care.